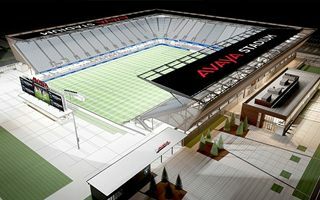 On Wednesday the MLS franchise San Jose Earthquakes announced their long-awaited naming rights partner, technological giant from the Silicon Valley – Avaya. The company agreed to pay some $20 million over 10 years to stand in the new stadium’s name. Aside from the large logo visible behind northern goal, the company’s name will be displayed on the roof, inside and under the stands in various locations, including 16 signed skyboxes. The deal worth $2 million annually is a very solid one in MLS terms, but some commentators say it may/should have been slightly more lucrative taken the Silicon Valley potential. Earthquakes informed there were 40-50 companies expressing interest. Anyhow, many fans of Quakes took the opportunity to express their desire to call the new stadium the Epicenter regardless of any sponsorship deal. Money gained from the contract will come in handy, because the new stadium is proving more expensive than initially anticipated. What was supposed to cost $60 million is now a $100 million building. The 66 percent cost increase comes after the team last year delayed the opening of the stadium from 2014 to 2015 because of construction issues, though the team insists that did not drive up the price. Still, Earthquakes argue the price is right and went up as various additions were made, improving its standard. By March 2015 opening, it will boast a huge screen in the north with North America’s largest open bar beneath it. Concourse space has also grown and many elements were upgraded since early estimates. Also, the cost will be covered by Earthquakes, no public support is needed despite the increase.